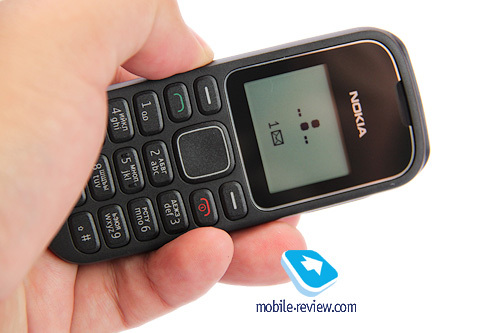 It is the cheapest Nokia solution following in the footsteps of Nokia 1200/1202. The positioning of low cost models is pretty straightforward and you can describe the target audience in several lines. 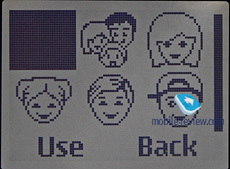 This is a phone for calls if you do not need anything else from the model. 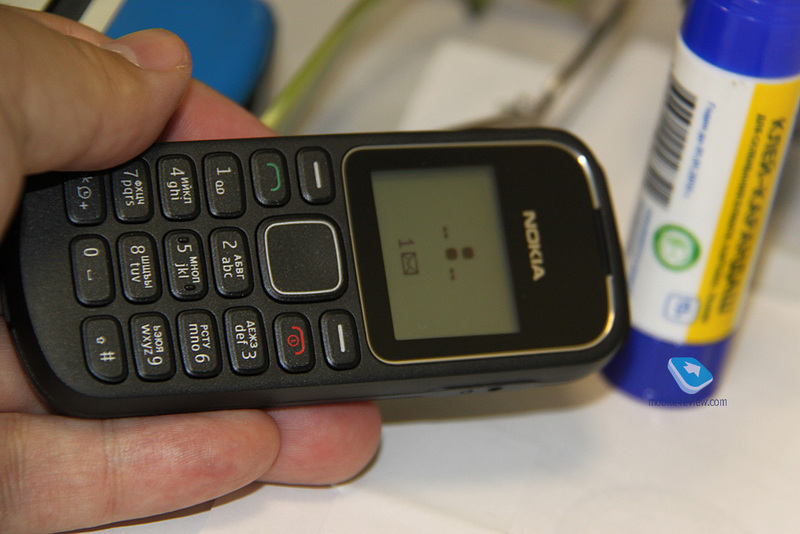 It can also be interesting for people who want to spend on handsets as little as possible. 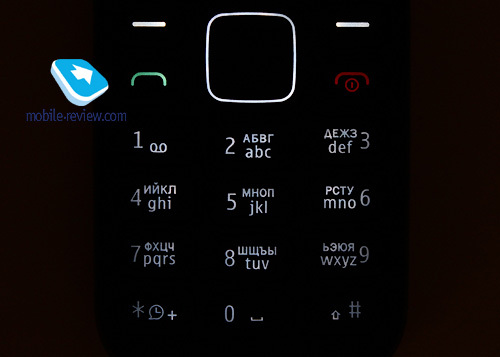 Nokia 1280 is the most accessible model in the lineup. Cheap and cheerful. 1000 series was always very laconic in terms of offered colors. The choice was often limited by black and sometimes elements of silver were added to the body. 1280 initially sports four colors – black, blue, grey and red. All colors look interesting. 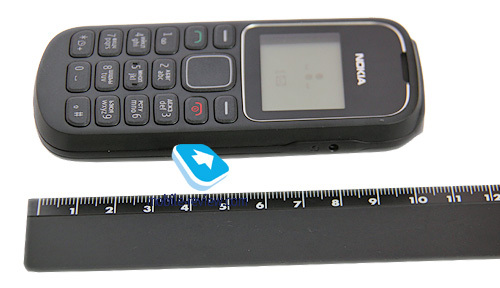 The phone is compact – 107.2 x 45.1 x 15.3 mm (4.22″x1.77″x0.60″) and weighs 82 g (2.89 oz). The model fits any hand well and causes no discomfort. The body is made of average quality plastic, but you cannot expect miracles from one of the most accessible models on the market. The built is above criticism as all components fit tightly without any looseness or squeaking. 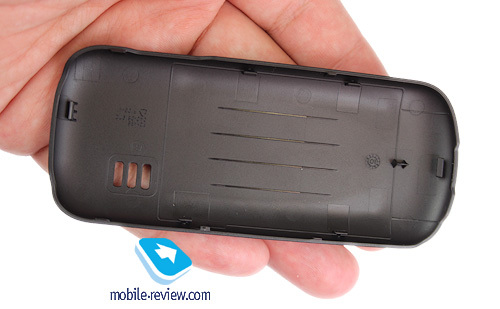 The back cover and sides are smooth and can be easily scratched. It is not very visible though. The left side is vacant, while the right one features a charger jack (2 mm). The top hosts a flashlight and a 3.5 mm jack for a headset. The bottom has an opening for a strap. Big rubber buttons are joy to work with. Each press is nice and effective. 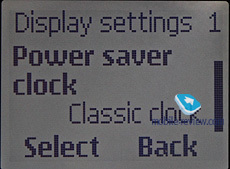 Keypads on 1000 series were always top quality and this model is not an exception. 4 position navigation key does not support press processing. The backlight is white and even, which makes it visible in different conditions. 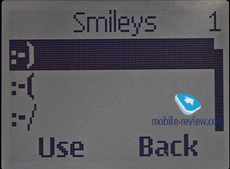 Developers must get a separate credit for the keypad. 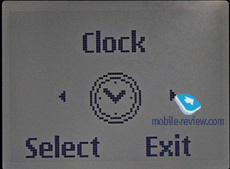 User guide mentions dustproof buttons, but this feature was present before as well, so there is no innovation here. 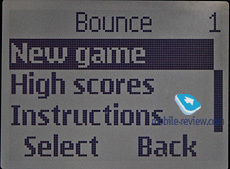 Traditionally the model boasts a small 1.3″ (29х23 mm) black and white screen with 96х68 resolution. Information on it looks legible and can be read at all times even in the sun. The backlight is grey and blue. 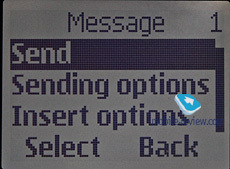 The screen fits up to 3 lines of text and 2 service lines. 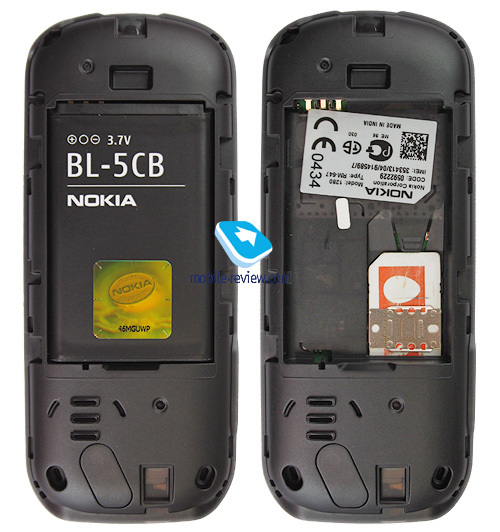 The handset comes equipped with 800 mAh BL-5CB Li-Ion battery. 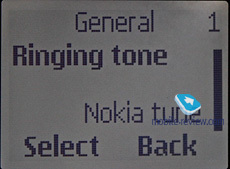 Nokia claims up to 8.5 hours of talktime and 528 hours in the standby mode. 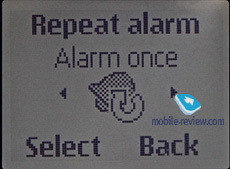 In real life it worked around 7 days with 15 minutes of talktime and up to 15 minutes for other activities a day. The full charging requires about 2 hours. Operation time is excellent and even heavy users could keep the model going for around 4 days. 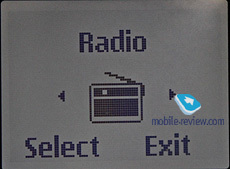 It is represented by a horizontal icons row. 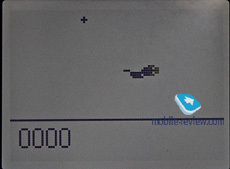 You can see one icon on screen at a time. Unlike other S30 models icons were slightly redesigned here. 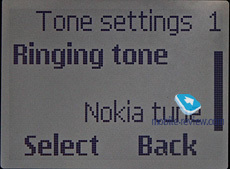 End call button is also responsible for switching the phone on and off together with the access to standard Nokia menu, which allows selecting profiles and disabling the handset. 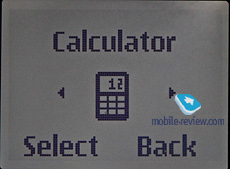 There is no fast navigation with numerical combinations, but you still get a quick access menu in the right function key. You can add necessary items at your discretion. 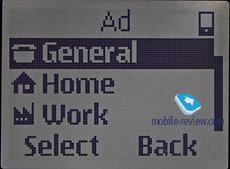 Navigation key is responsible for the following actions in the standby mode: calls list, new message, contacts and demo mode. 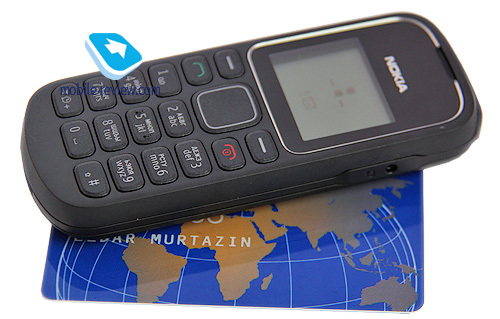 The phone offers quick access to the currency converter. 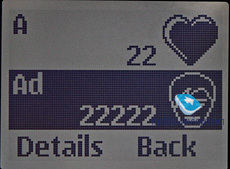 In the standby mode you enter the necessary digits, for example, 1234 and then press the left function key and select Convert from the list. 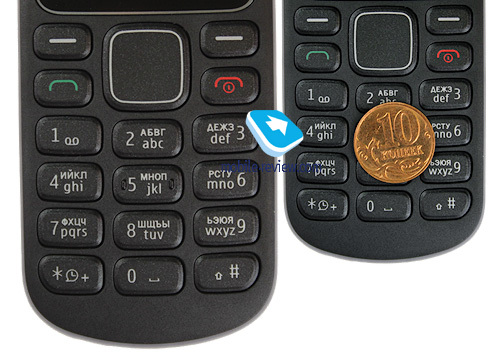 The phone immediately goes into the currency converter and converts the figure you entered. 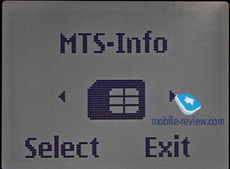 You can also use the demo mode without the SIM card inside. 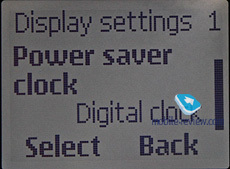 In the standby mode the screen shows big clock, which is visible even without the backlight. Phonebook. 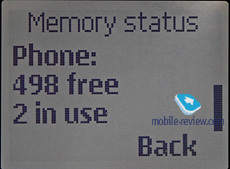 Phone memory is enough to store up to 500 contacts. 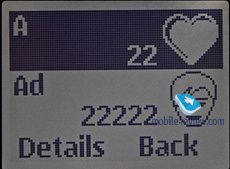 Each can be assigned a name (up to 14 symbols) and 3 phone numbers where you can choose the number type. 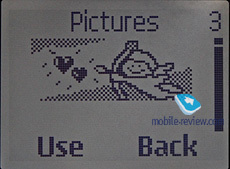 Besides, a contact can be assigned one of pre-installed pictures (31 in total). 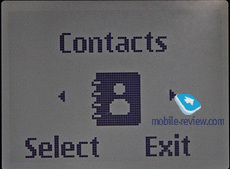 An assigned picture will be displayed during incoming and outgoing calls and in the contacts list as well. 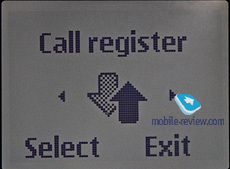 You can search in the phonebook by using first letters of a name. 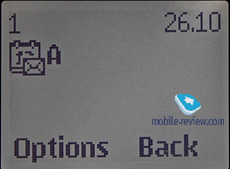 Quick dialing of up to 8 numbers is also supported. 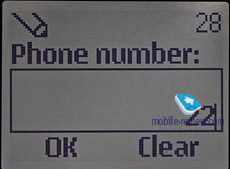 Apart from that you get a black list to filter unwanted calls and messages. 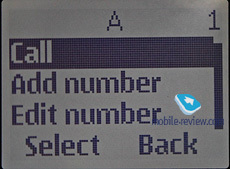 It is easy to use – just enter a number and that's it. 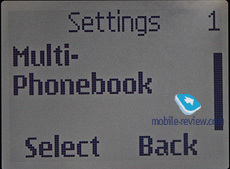 Phonebook also features the so-called multibook. These are five independent phonebooks and one shared book. 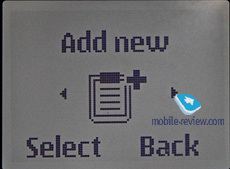 User can enter contacts into the shared book to be displayed at all times or into one of numbered books. In this case you will see contacts from the shared book and the one book you are in. 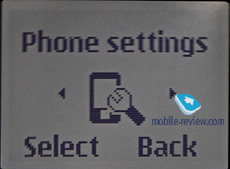 This option is handy when the phone is used by several family members (a phone for recreation). 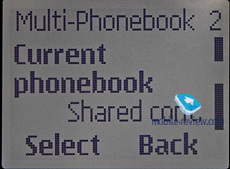 After the switch between users the next one just has to select his/her phonebook and access the necessary contacts, while contacts of other users will still be available from the phone. 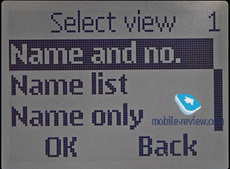 It is difficult to imagine the situation when the feature is required, but some may find it useful. 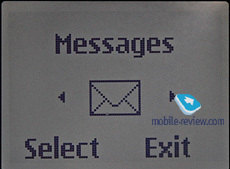 By the way, there is a standard phonebook display mode too. 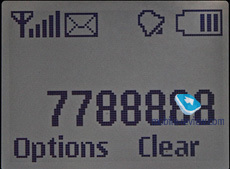 Surprisingly, the phone cannot compare numbers starting with 8 and +7 properly and they are considered different, which is not very convenient. 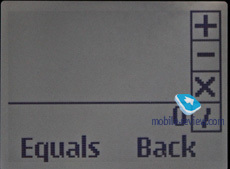 The model does not support USSD requests, so you cannot check you balance quickly. Messages. 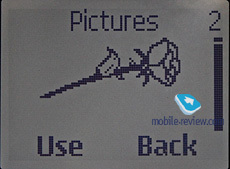 The phone memory is good enough for 250 messages (Nokia 1200 had only 60). 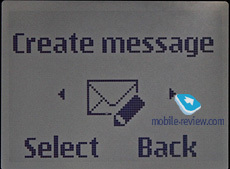 When creating a message you can select the font size (large or normal) and the screen will fit one or two lines respectively. 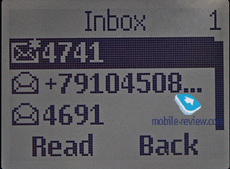 Mass sending is also supported, but you have to create users lists beforehand. 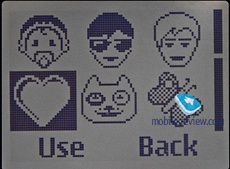 Emoticons (up to 8) and text templates (again 8) can be added to the body of the message. 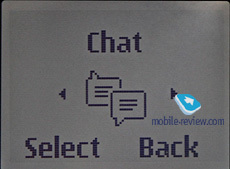 There is a chat feature when all messages from a contact are displayed on one screen. 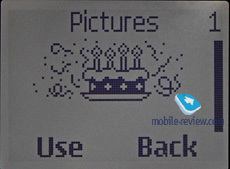 The model supports Nokia Smart Messaging and to send a graphic message you have to go to the appropriate section hosting around 30 pictures. Calls list. Here you have 30 received, missed and dialed numbers. 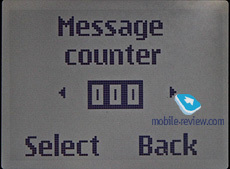 You can also use counters of calls duration and SMS from here. Settings. 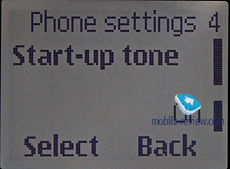 All settings associated with ringtones are in this location: you can select ringtones for incoming calls, messages and several activities. 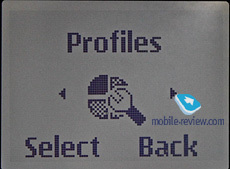 In addition, there are 6 profiles, which are fully customizable. 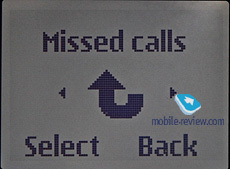 I have to mention Mobile Payphone feature, which allows setting the time limit for every incoming call. 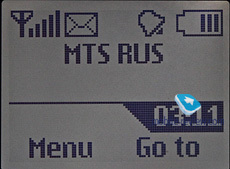 This option is quite useful in roaming. 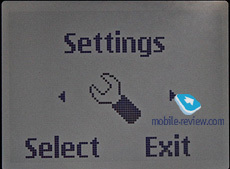 Other settings connected with the phone and the network can also be accessed here. Clock. 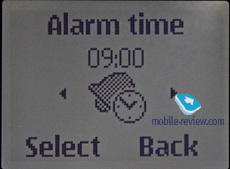 There is only one alarm clock to be set both for a single or repeated use on selected days. 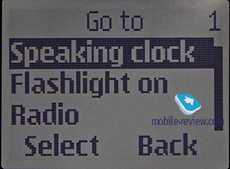 You can use the feature of a "talking clock" when the phone "tells" you the time. Alerts. 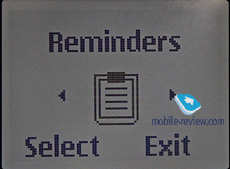 The phone offers simple alerts: enter the text (up to 35 symbols), add sound, time and date. 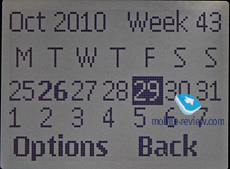 You can view a monthly calendar from there as well. Games. 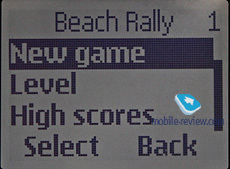 1280 has three pre-installed games: Beach Rally (races), Bounce (arcade) and Snake Xenzia (also known as a tried and trusted Snake). Extra. 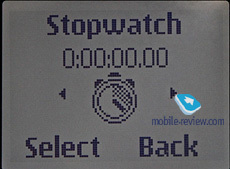 This section hosts a simple calculator, measurements converter, countdown timer and a stopwatch. Calendar viewing is also available here. 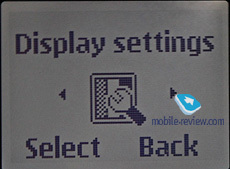 Demo mode describing the phone features is also situated here. 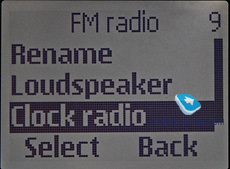 Radio works with the connected headset or headphones (not in the box). 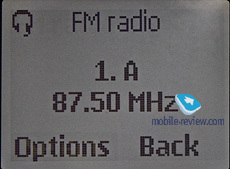 Radio is implemented well, but you have to save every radio station manually. There is no automated search and save option. Each station can be assigned a name. 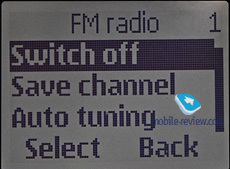 From the radio menu you can set an alarm and the selected radio station will be used as a signal. 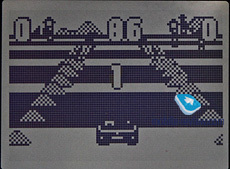 The memory can store up to 10 stations. Speech communication quality is above criticism and the model is quite typical in this request. 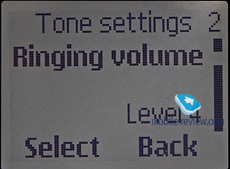 Ringtones are loud enough. 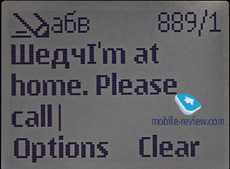 The phone has no support of мр3 melodies. 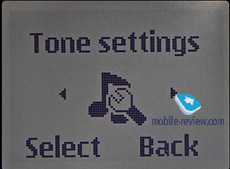 Developers forgot to add a melodies editor (4.20 was the version the phone was launched with as no other version was available when the review was written). Correspondingly, there is a place for new melodies, but they cannot be created by users. Hopefully, this pure negligence will be addressed in next firmwares, but those who already purchased the model will not benefit from it. 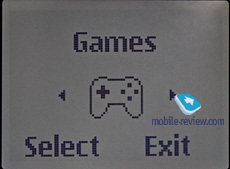 On the other hand, a melodies editor is hardly a vital feature of the phone. The model has no serious drawbacks, because S30 platform has been tried on numerous models before and you cannot find anything new here apart from the price. 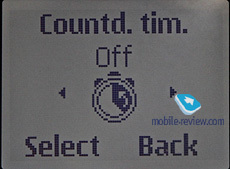 That is why I was surprised when testing handsfree talking that my contact and I could hardly hear each other. Words disappeared and the speech was unrecognizable. 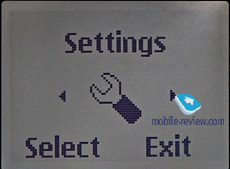 I checked out a dozen of Nokia 1280 and the problem persisted everywhere. It may be a design defect or a software bug. Anyway, if you need this feature, look elsewhere. 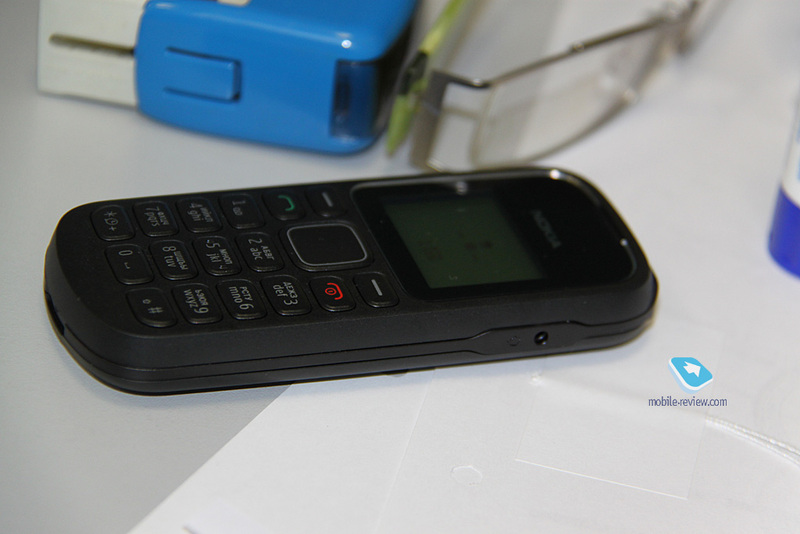 The model is a classical cheap and cheerful handset. On particular markets, for example in India, it can really be purchased for around €20. In Europe taxes add up to the price, while in Russia it costs $32. It sounds good until you start comparing it with rivals. 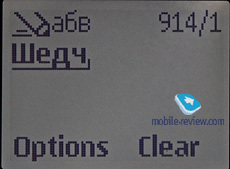 Samsung E1081T costs €16 and offers a 128х128 screen with 65000 colors into the bargain. 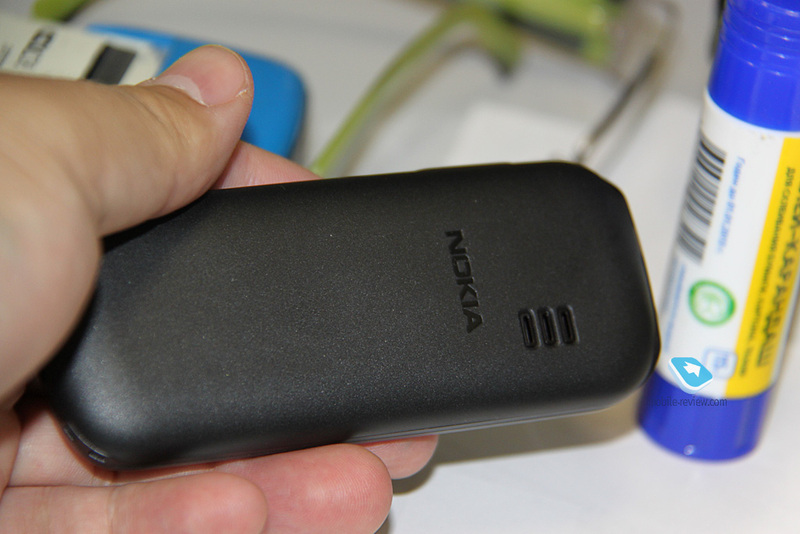 There is a flashlight and the model has similar features to Nokia models in the segment. Bigger screen makes it more convenient to use. Head to head competition will be lost by Nokia and the price difference is staggering for this niche. It is fantastic to get a color screen for such a small amount of money. 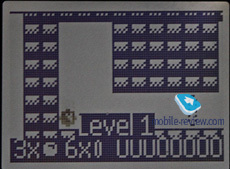 Nokia 1280 will have to compete against the horde of second echelon models. Take for example Alcatel. 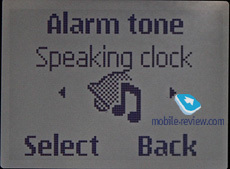 Its offerings are twice cheaper and despite inferior features they can make calls well. They offer a good alternative to Nokia solutions. In this price range manufacturers do not offer much, so the sales will be huge, especially taking into account Nokia brand name. 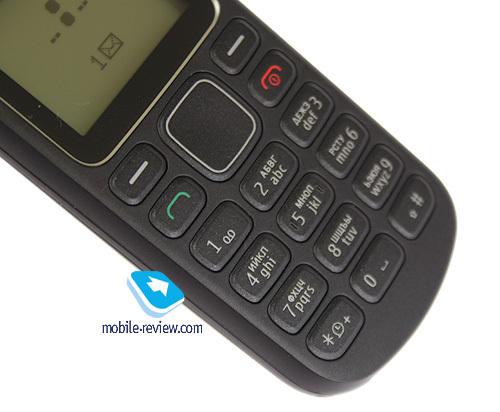 The handset is not bad, but is not the best in terms of value for money. Surprisingly, Samsung models win here easily.